"Brian and I met in 2006 while working as coaches at the International Sports Training Camp, a sports-focused summer camp for kids in Stroudsburg, Pennsylvania. Knowing that we already had two things in common (sports and working with children), we sparked a friendship right away and that later turned into a crush. After the summer was over, however, we both went back to our separate lives to figure out what we each wanted to do with our careers. I moved back to my home state of Oklahoma, and he stayed in Pennsylvania to work. 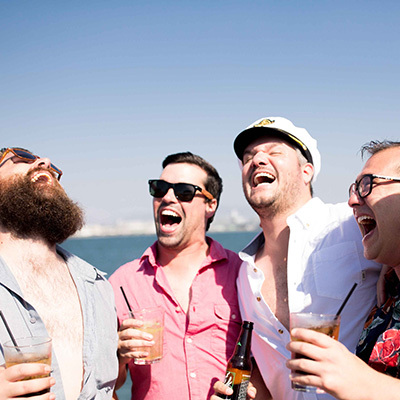 Fast forward 7 years to 2013, I was planning a trip to visit some girl friends who now lived in San Diego. I happened to notice on Facebook that "my old friend" Brian had also recently moved to SD. So I sent him a message and invited him to join us during our planned activities that weekend while I was in town. He did, and we picked up right where left off in 2006. We were still attracted to each other, both single, and this time we decided to really give a relationship a try. We dated long distance for 6 months, until I worked out an agreement with my workplace to let me try working remotely from San Diego. Luckily, they agreed! So I moved in with Brian in January of 2014. We dated for almost 3 years by the time he asked me to marry him on top of Stonewall Peak in Cuyamaca Rancho State Park. As we discussed our wedding plans, we decided that we wanted to have a West Coast celebration (where we fell in love and now live together), a Midwest celebration (where I am from), and an East Coast celebration (where Brian is from and where we met). 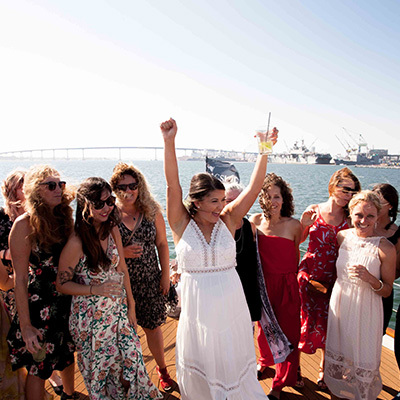 We wanted our West Coast celebration to really showcase a San Diego experience. So we starting looking into chartering a boat to cruise around the harbor for a few hours on a Sunday afternoon that would fit all our friends and family. We did shop around a little bit before landing on the Quiet Heart with Flagship Cruises. 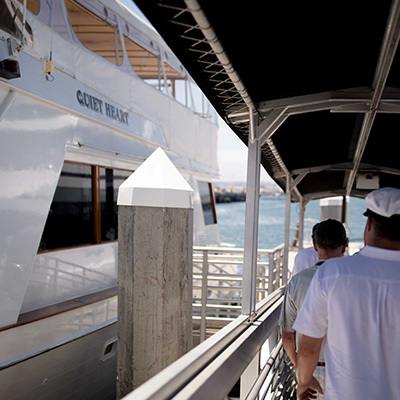 When we walked onto this yacht, it just felt like the right fit for us and our group. We loved that it had indoor and outdoor gathering options, we loved that all 40 of our guests would be able to spread out and not be too cramped, and we loved that they offered a package deal including catering and a bar. Having a one-stop-shop ordering method was so easy and convenient. 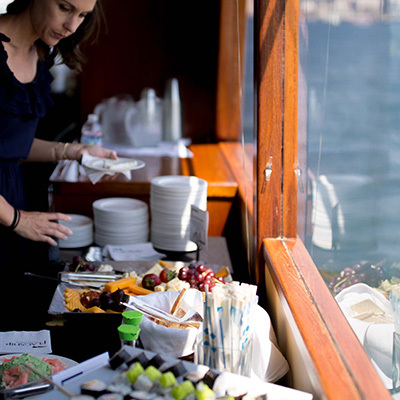 Plus the food and drink options were upscale, yet affordable, so we would not have wanted to consider outside vendors anyway. 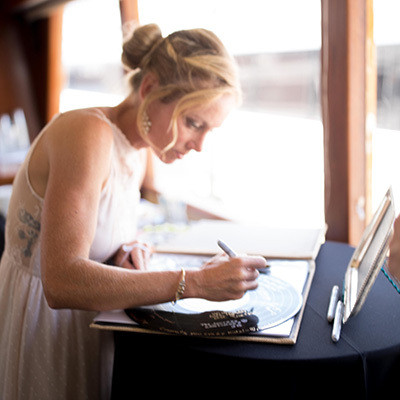 Hosting our wedding on the boat was wonderful. Having never-ending panoramic views of our beautiful city while talking and laughing with friends and family really made an impact that could not have been matched at a venue on land. 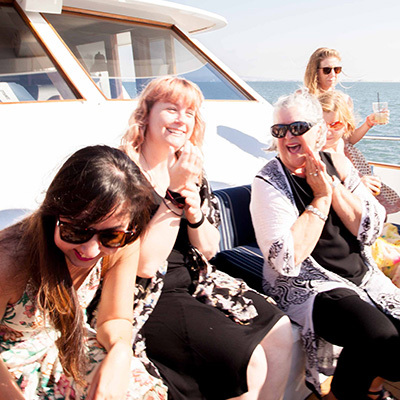 Simply the nature of constantly moving and being on the water added a level of excitement to the party. Especially when we hit some waves and a couple guests weren't ready for it! In all seriousness, the vast majority of the cruise had calm waters and it was easy to walk around with a drink or a plate of food. 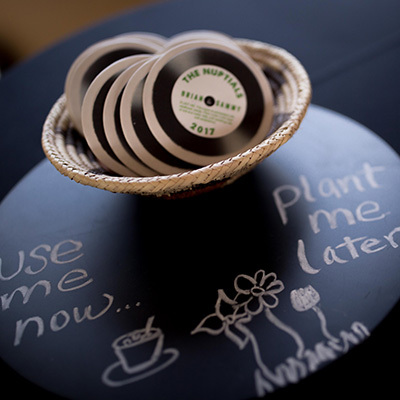 The waitstaff was also outstanding, and catered to many of our guests individual needs. One of our favorite parts of the day actually occurred inside the lounge area. 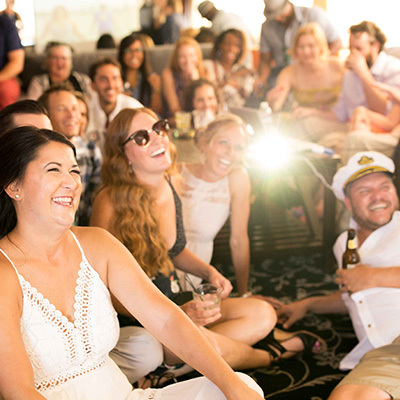 We had put together a wedding video for our guests, and the Flagship crew worked with us to make sure we could fit a projector screen and 40 people in one room to watch it during the cruise. 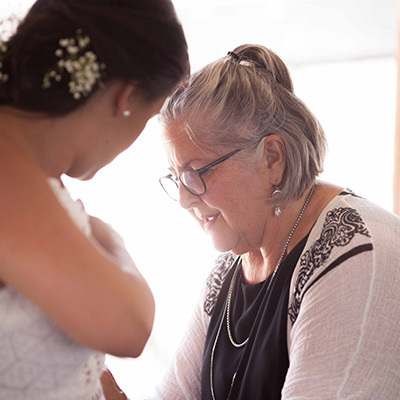 It worked out perfectly, and to be honest, we loved that 20 minutes of having all our guests gathered closely together so we could express how much they meant to us. The video itself was hysterical and a big hit, but that is another story! We really were glad we had that option to pull everyone together for a special moment, and then we could all spread out again. 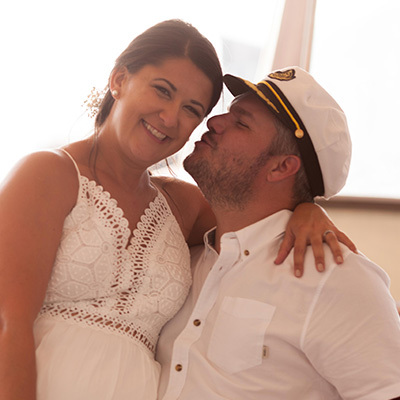 The day was so memorable for us, but our guests have also expressed how much fun they had. It was unique, it was sentimental, and it was a true San Diego experience. We would not have changed a thing."